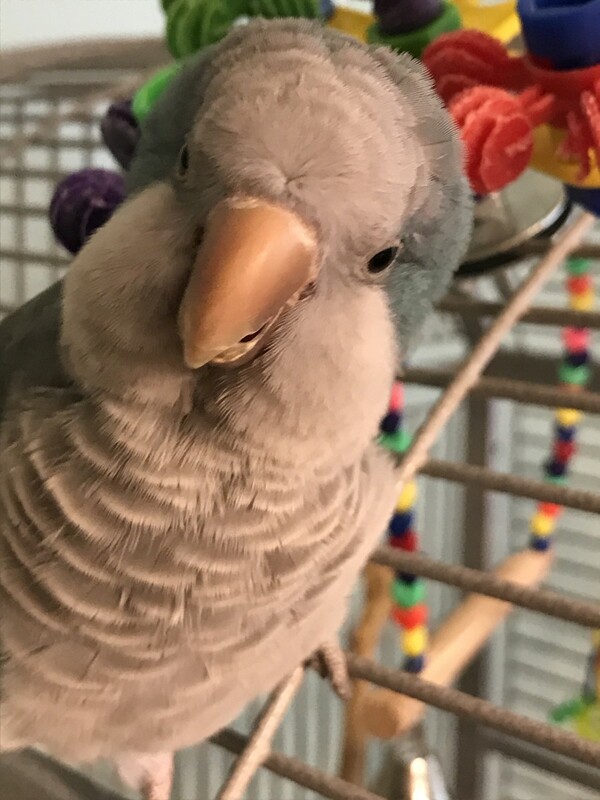 Since I became a bird owner (or "parront," as some bird people like to say), I've encountered some people who disapprove of my animal companion. It's not that they don't like my cockatiel, but they don't like the fact that I keep a bird. I've heard, "keeping birds as pets is cruel," "pet birds should be set free," "birds don't belong in cages or in our homes," "people who keep birds are ignorant," and so on and so on. I even encountered one individual who seemed to think keeping pet or caged birds was doing pure evil. Perhaps our ancestors should have admired the birds from a distance and left them in the wild. However, they brought them into their homes and bred and raised them, and in doing so, took away their ability to survive in the wild. Now we are responsible for keeping these birds safe. Let me get this out of the way first. I do not believe in taking a wild bird out of his natural habitat and putting him in somebody's home or a zoo (unless the bird has a permanent injury making him unable to survive in the wild*). Capturing a healthy wild bird is like kidnapping. It stresses the bird and contributes to the decline of wild bird populations. Please do not take a bird out of the wild to make him your pet, and please don't support those who do by buying one of these birds. There are already too many captive-raised birds that need homes, so if you want a bird, please adopt a bird that is already used to living in captivity. *If you find a wild bird that appears sick or injured, please contact a licensed wildlife rehabilitator or nature center for advice. Why Can't You Just Let Them Go? When people say that nobody should keep pet birds, I always ask what they believe should happen to the birds that are already pets. More often than not, the answer I hear is "set them free." Birds that have been raised with humans simply do not know how to be wild birds. They are not accustomed to dealing with weather. They don't know how to look for their own food. They never learned how to watch out for predators, and if they lived in a house with a friendly cat or dog, they may make the deadly mistake of assuming any dog or cat is friendly. All this means that if you set one of these birds free, you would likely be sentencing him to a horrible death. Is that really better for the bird? Also keep in mind that many pet bird species are as intelligent as young children, and they form strong bonds with the members of their human flock. Sending them out to fend for themselves causes them separation grief and anxiety. Imagine how terrified a 4 year old child would be if you sent him off to live on his own. That's pretty close to how a loved and well cared for pet parrot would feel. I volunteer at a wildlife rehabilitation center where I work with all sorts of birds. People occasionally bring us budgies, lovebirds, cockatiels, and white doves they found in their yards. 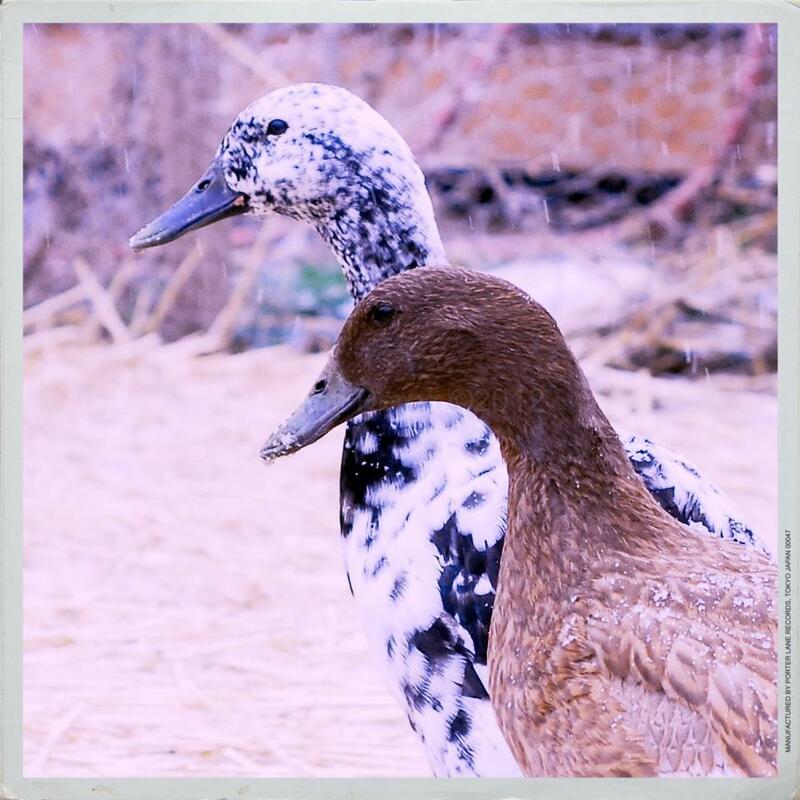 These birds had obviously been pets, and they come to us stressed, confused and upset. Whether they were "set free" or they flew out an open door, we don't know. What we do know is that we need to try to find their owners or get them into new homes because they are what we call "non-releasable," meaning, they generally can't survive in the wild. 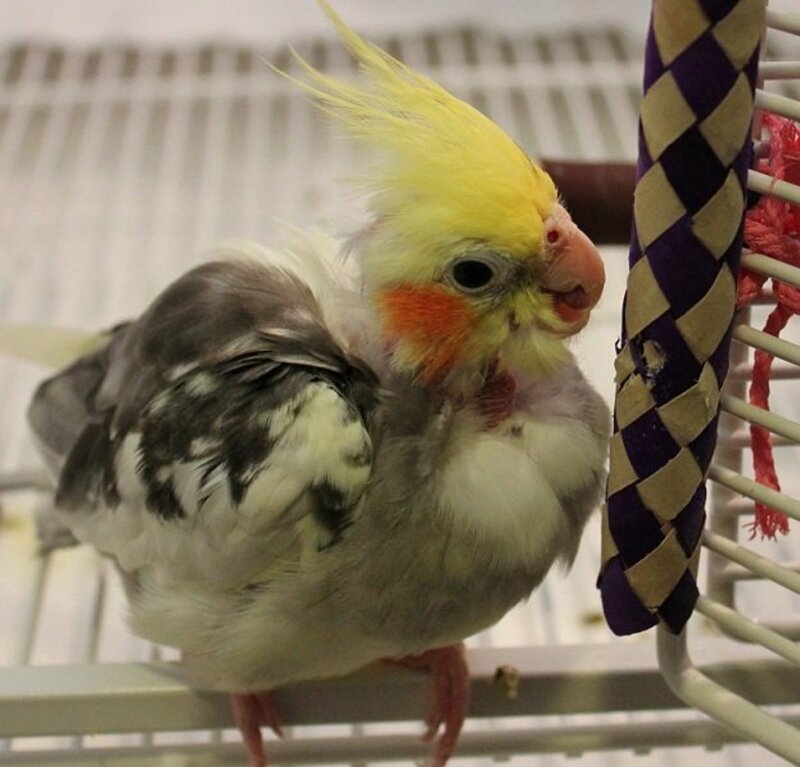 What Can We Do to Keep Our Pet Birds Happy? 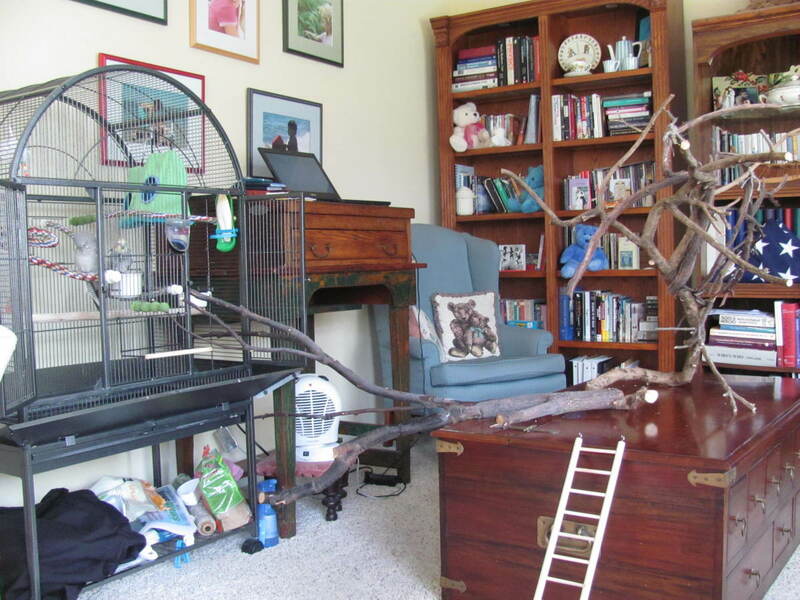 Make sure your bird's cage is large enough to give him plenty of room to fly, jump, and/or climb. Provide toys. 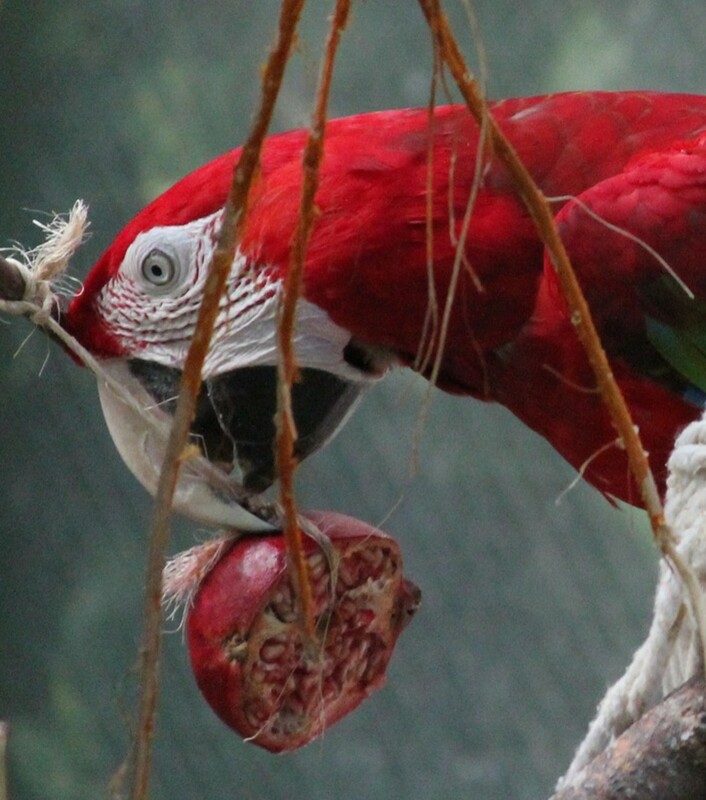 Most parrot-type birds enjoy puzzle toys and chew toys. Try different types of toys to see what kind your bird prefers, and make sure he has some available at all times. Inspect the toys regularly to check for damage or hazards (sharp bits of metal, frayed strings in which toes could be tangled, etc). Let your bird out of the cage every day. 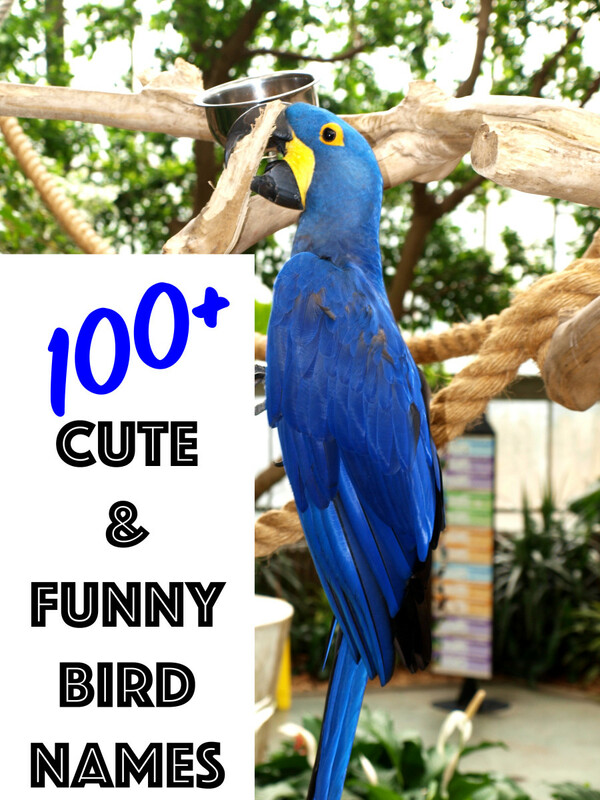 The amount of time required varies from bird to bird, but plan on a minimum of a couple hours (several hours if you have a larger or more active parrot such as an African Grey or macaw). My cockatiel's cage door is open whenever I'm home and awake so he can come out if he chooses (I close the door when I'm not home for his own safety). Some people let their birds roam free through the house at all times and cages are primarily used for sleeping. If you choose to go this route, you must make sure your entire house is free of hazards, and you must always watch where you step, and look before you sit down. This method is also dangerous if you have dogs or cats, unless you can keep your pets in separate areas of the house. Keep the cage clean. Change the papers and spot clean every day. 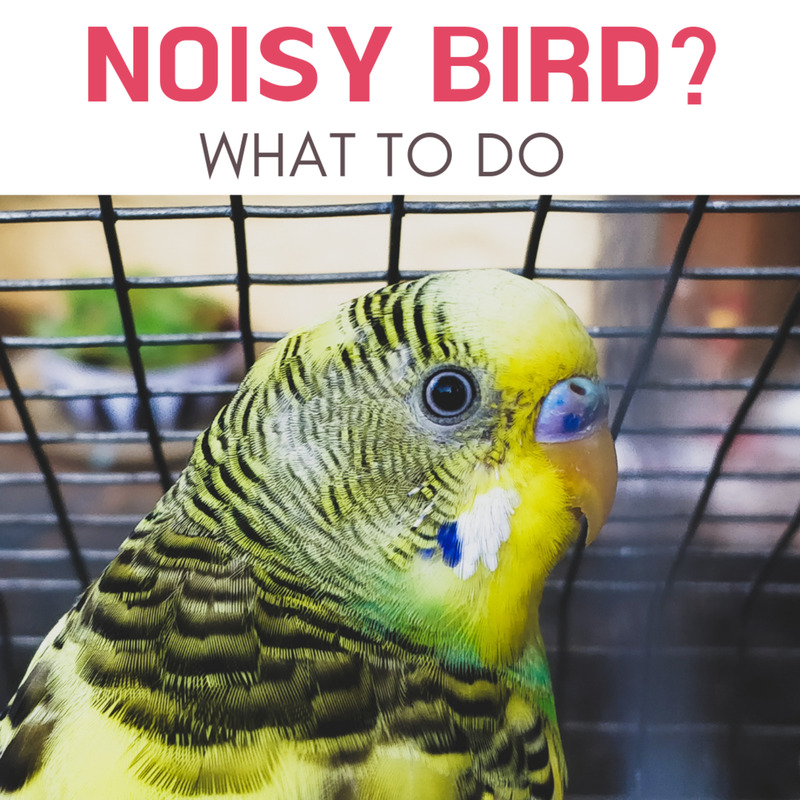 Give the cage and perches a good wipe down with unscented soap and water every week, and take everything out for a complete cleaning and disinfecting at least once a month (more often if your bird is particularly messy). Interact with your bird. Finches and canaries don't require human interaction, but it's important for doves, and vital for any type of parrot. Talk to your bird, whistle with him, play games with him, let him cuddle under your chin while you watch TV, etc. If your bird is new to the household and is still learning to trust you, just hang out near him while you read or use the computer. If your schedule doesn't allow for much interaction time, you may wish to consider getting a second bird so he doesn't get lonely. Watch out for any signs of stress or anxiety, such as plucking or screaming. Sometimes the cause is obvious (your schedule changes, a family member moved out, your new neighbors are noisy, etc), and sometimes the cause may be a mystery. In any case, a consultation with your avian veterinarian may be in order to rule out any medical causes and to help your bird adjust. Provide a balanced diet. A bird seed mix from the pet store usually isn't enough. Include formulated pellets, whole grains, and fruits and vegetables. There are bad bird owners out there who keep their birds caged 24/7 and don't take the time to interact with them (my own cockatiel was rescued from such a situation). I suspect this is the image many people who are against keeping pet birds have in mind. However, there are also plenty of GOOD, responsible bird owners who provide lots of interaction, love, and exercise. These bird owners shouldn't be judged based on the behavior of the bad ones. Is it right to keep a bird as a pet? It depends. For some people, keeping a pet bird is beneficial for both the human and the bird. However, some people and birds just aren't a good fit for each other, and for those people, it isn't right. Should people keep birds as pets? If a person wants a bird, and if that person is prepared and ready to properly care for the bird, there's no reason he or she shouldn't have one. Just like there's no reason an adequately prepared and dedicated cat or dog owner shouldn't have his or her pet. If somebody neglects the bird or otherwise doesn't properly care for the bird, maybe that person shouldn't have one. Can a parakeet and lovebird be housed in the same cage? 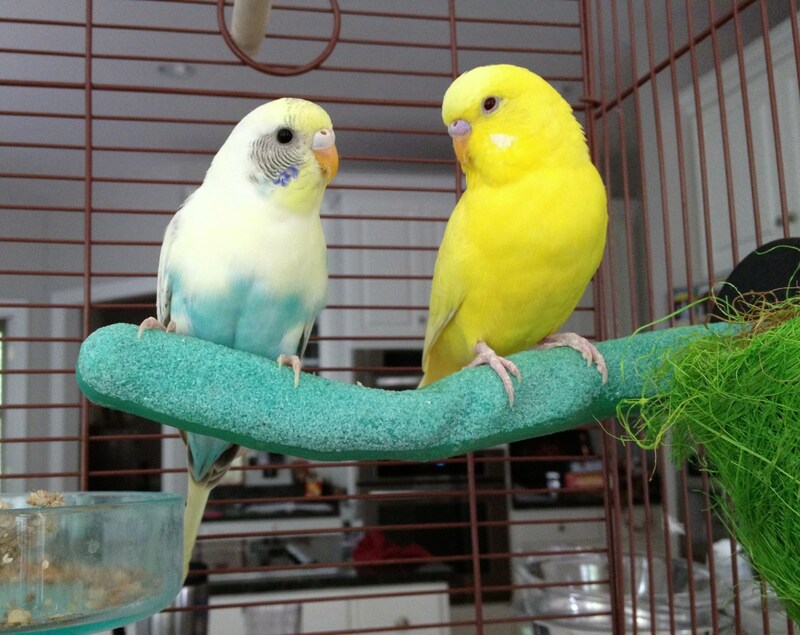 Generally speaking, it's not a good idea to keep lovebirds and budgies (parakeets) in the same cage. 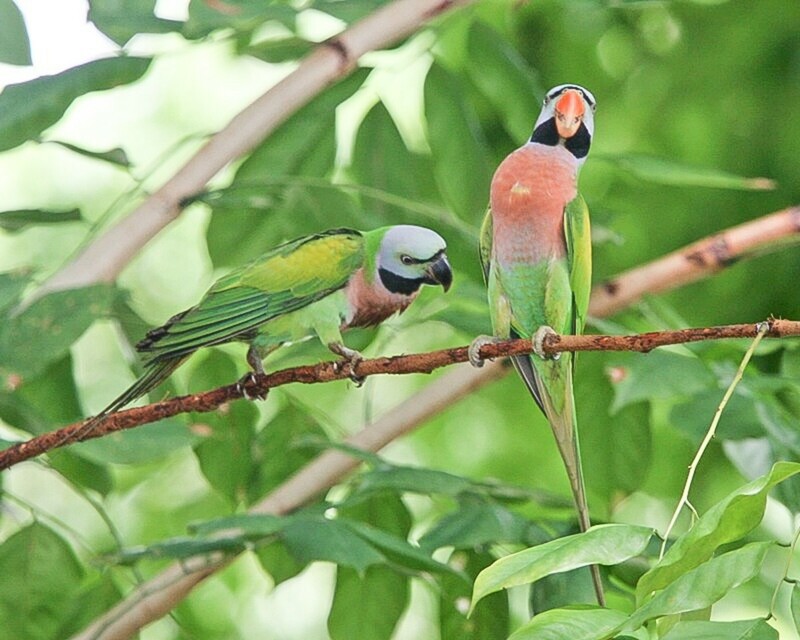 Lovebirds can be aggressive to other birds, and their beaks can cause serious damage. Can Cockatiels and Green Cheek Conures be housed together? You can have both, but they shouldn't be housed in the same cage. Conures are pretty strong and could injure the cockatiel. You can have both, but they should be in separate cages, and supervise them closely if they're out at the same time. "Keeping your bird in a cage is like prison." As I state in the main body of the article, I do not keep my cockatiel locked in his cage all the time. The cage door is open the vast majority of the time, so he can come out and go in as he pleases. He chooses to spend most of his time in or on top of the cage though. It's his "safe space." I do take him out of the house regularly so he can socialize, get some sun, etc. "How would you like it if somebody clipped your wings?" I do NOT clip my cockatiel's wings. He can't fly long distances due to permanent follicle damage on one wing (from the neglect he experienced in his previous home), but if his feathers ever did completely grow back, I'd leave them alone. "Imagine what a mother bird feels like when her eggs or babies are stolen!" Please see my statement early in the article regarding wild-caught birds. "If you like birds so much, why don't you just buy a bird feeder?" I spend over $50 a month feeding the birds in my back yard, and have done so for years. Thanks for you comment, birdsong58. I hear what you're saying! That's why I chose to adopt a rescue cockatiel rather than buy from a breeder. jenb0128, of course captive hand raised birds can't be released. however, it strikes me that there are bird owners and bird lovers. in my experience, those who hand rear parrots to be bought and sold at markets like trinkets to impulse buyers are a different breed to those who feel great empathy for a homeless captive bird and are prepared to invest their time and money providing a safe and comfortable environment for the term of the bird's natural life. In my part of the world there are more than enough homeless birds to go around to loving homes without supporting the breeding industry which is contributing to the crisis. Thanks, srsddn! I agree that there's a lot of ignorance out there about birds as pets. I do what I can to try to fix that. I very much appreciate that you shared the hub! jenb0128, I feel most of the arguments put forward for or against bird keeping may be out of ignorance, but your arguments in 'Why can't you just let them go?' are quite solid. Also you have placed nice tips on how to make birds happy. Voted up and shared. Thanks for reading and commenting, graceomalley! It really sounds like you and your family have a great relationship with your birds. Your cockatiels sound a lot like my own. He also loves shoulder rides and head scratches (though he demands them rather than asks for them). My own opinion is that while birds lose something by not living wild, they gain something from the right kind of human companion. My cockatiels call to me, fly to me, climb all over me, 'ask' for head scratches and cuddles, and like to nap perched on whatever part of me is available. Of course they also fly free in the house, have a little community of 3 cockatiels within their human flock (we are a family of 4 humans and 3 birds) and have two large bird trees to climb on. They seem awfully happy to me. I am disabled and have to be home most of the time, and they keep me entertained. I like to think i give them something valuable too. How many birds out in the wild have a buddy who is a few hundred times their size? True, my birds can fly, but they seem to get a kick out of riding around the house on our shoulders nonetheless. If it was me living in a house with giants (giants who spoil the heck out of me) i would be having a ball. Thanks for reading and commenting, Highland Terrier! I also worry about habitat loss for our animals, but at least we're (finally) becoming more aware of the impact we're having on our wildlife. I hope people will use that awareness to the benefit of the animals. Every interesting comments, I would never have suggested letting a caged bird free but I did disaprove of birds in cages. Not so much now as I worry about all the species we are destroying in our need for more space for ourselves. I fear shortly the only other species of animal on the planet will be the ones in cages. Fortunately, I don't run into the complainers all that often, but when I do, it definitely ruffles my feathers! I usually ask them why they want to kill my bird, and when they give me that confused look, I explain how he would die in the wild. That usually shuts them up. Voted up and awesome. I know that your bird has a wonderful home, and I commend you for having rescued him. You are part of that bird's flock, so he would be lost without you. People can be so pathetically self-righteous, and it's even more shocking coming from ignorant people who think we should just set them free. I don't know how you kept your cool when someone accused you of harming your pet. It's actually not a good idea to agree with them but say what you're doing is ok because the animals are now too domesticated to survive on their own. Anti-pet people think we shouldn't be breeding them continuously to keep them. It sounds like you have a good grasp on bird care and should have no shame or hesitations about doing it. You shouldn't be taking crap from anyone, it's incredibly rude for people to say that to you even if they don't agree.